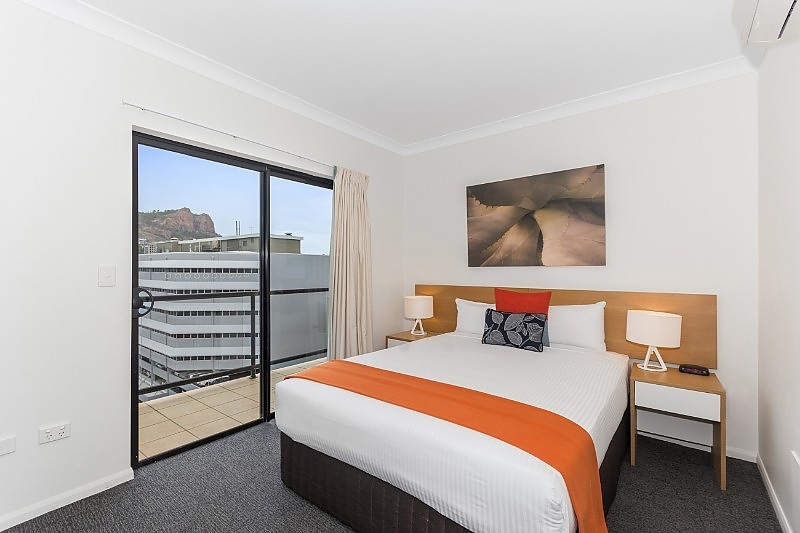 Quest Townsville serviced apartment style hotel rooms offer guests a relaxed and comfortable Townsville accommodation experience perfect for short or long stays. 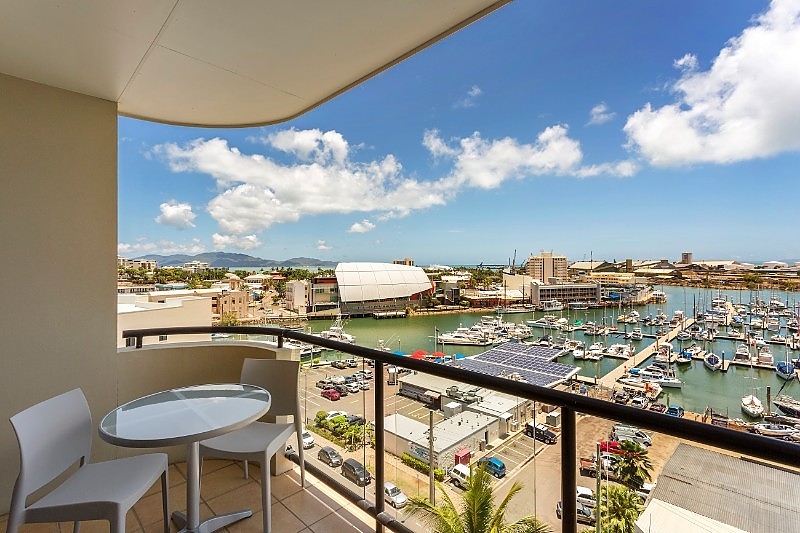 Quest Townsville is centrally located in the heart of the city's dining precinct and offers central Townsville accommodation within walking distance of an array of award winning cafés, restaurants and convention facilities as well as easy access to Magnetic Island. 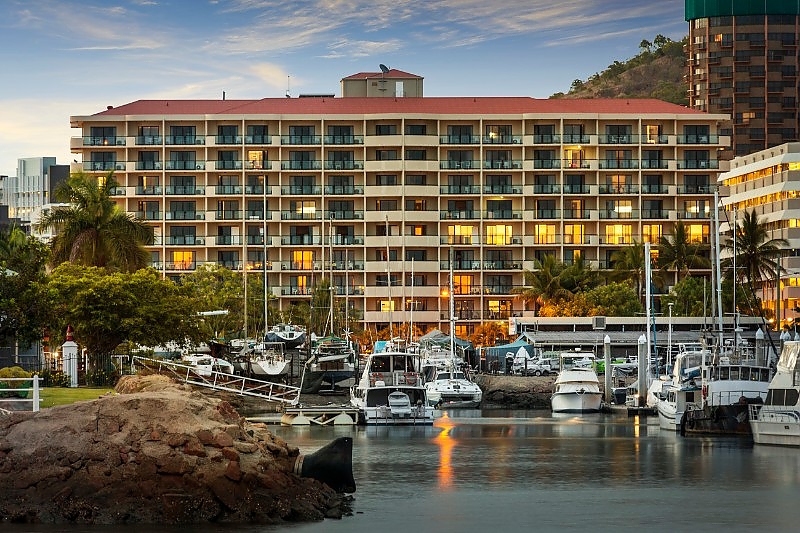 Attractions surrounding the hotel are The Strand (Townsville's dining, shopping and entertainment precinct), Entertainment Centre and SeaLink Ferry and barge terminals. 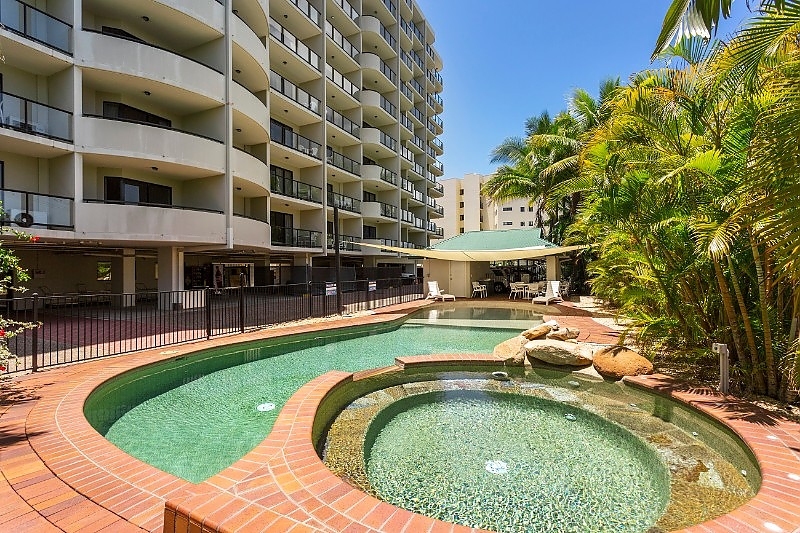 Quest Townsville has 141 serviced apartments including Studio, One and Two Bedroom Apartments. Studios are the perfect alternative to a hotel room and have kitchenettes. The One and Two Bedroom Apartments are ideal for families, colleagues or larger groups looking for a home away from home experience with full kitchens and laundry facilities. We wish to advise that Quest Townsville will be undergoing an external repaint from Friday 12 October 2018 - Thursday 10 January 2019. As part of the repainting process pressure washing will also be conducted. Feel right at home in the One Bedroom Apartment. There’s space to move, with a separate bedroom featuring comfortable king or queen bed and wardrobe. 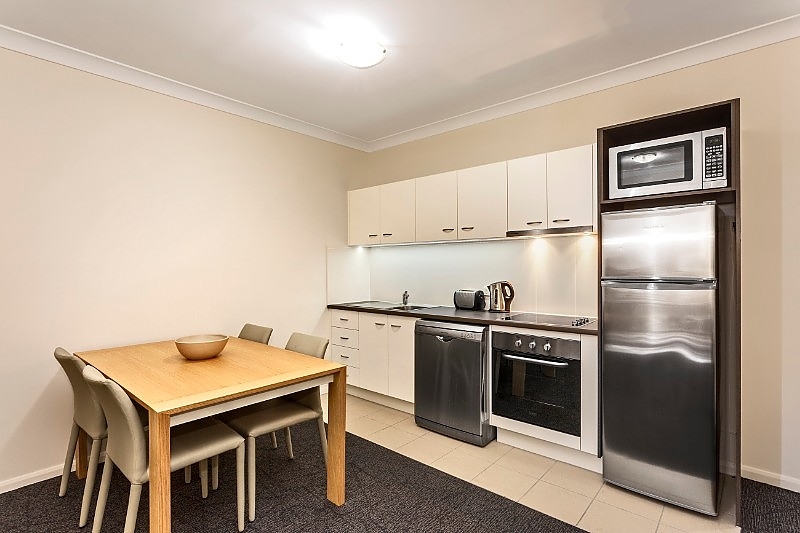 The relaxed living area contains a sofa, LCD TV with Foxtel, high speed internet access and work desk, whilst the fully equipped kitchen provides a cooktop, oven and full-size fridge, and dining table. 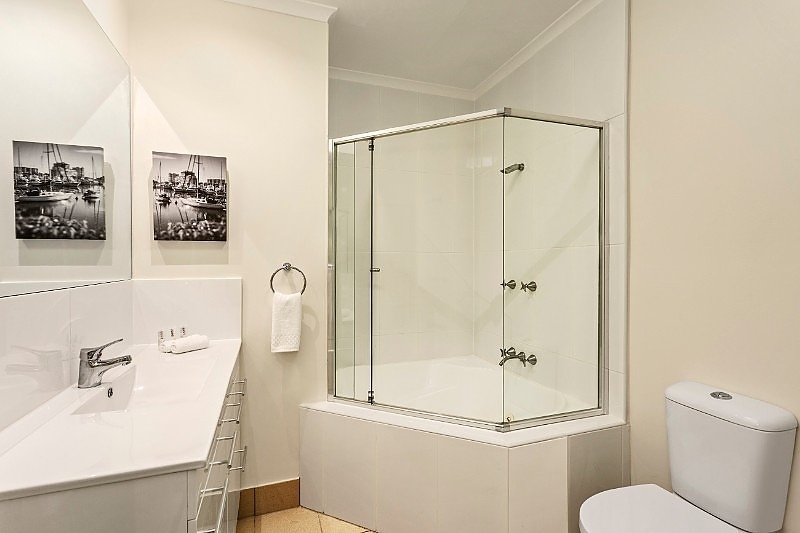 The bathroom offers laundry facilities, amenities and hair dryer. Enjoy the marina or resort style swimming pool views from the private balcony. Guests can access the offsite gym and swimming pool. A weekly housekeeping service is included (excluding Sunday and public holidays). Breakfast and restaurant options are available, contact us for details. Ideal for families or small groups, the Two Bedroom Executive Apartment is our Studio interconnected with a One Bedroom Apartment. Both bedrooms can be configured as either a king bed or two single beds. A fully equipped kitchen featuring an oven, cooktop, full-size fridge and dining table means meals can be prepared and enjoyed in the apartment. Take in the marina or resort pool style views from the private balcony. Guests can access the in-house gym and swimming pool. A weekly housekeeping service is included (excluding Sunday and public holidays). Breakfast and restaurant options are available, contact us for details.